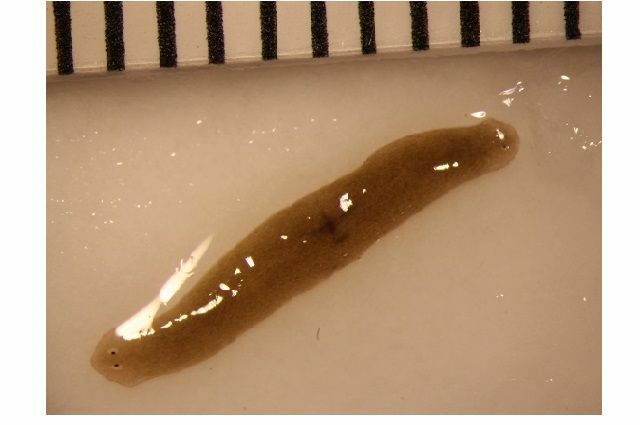 A group of scientists sent flatworms to the International Space Station (ISS) for five weeks to observe the possible effects space travel could have on their bodies. A study was published on the work in the journal Regeneration. But why flatworms? Kris Kimel, founder of Kentucky Space says there's been a lot of research into what happens to astronauts bodies in space, but very little research done on zero-gravity effects on the cellular or molecular level of an organism. Learning how factors like Earth's gravity and magentic field influence a cell's decision to divide, differentiate into different organs and stop growing will be important, regardless of the species, according to the researchers. So in 2015, researchers sent full and partially amputated flatworms-- they're known for their abilities to regenerate after being cut-- into space to see how they would change. They specimens were kept in containers filled half way with water, half way with air. A control group was kept on Earth under in the same way. "Seeing a two-headed flatworm was pretty remarkable," said Michael Levin, a Tufts University biologist who co-authored the paper. In another instance, a whole flatworm spontaneously divided into two worms. The researchers acknowledge that there aere some limitations to their study. They weren't able to account for how temperature may affect their results, because they were unable to keep the control group on Earth at the same temperature as the worms in space. Additionally, they didn't make the cuts or subject the space worms to tests until after they had arrived back on Earth. Levin says in the future, they hope scientists aboard the ISS can make cuts on the worms and report the observed changes from there.